VietNamNet Bridge - Exporting healthcare services has been mentioned by high-ranking officials in recent years, but implementation has yet to occur. 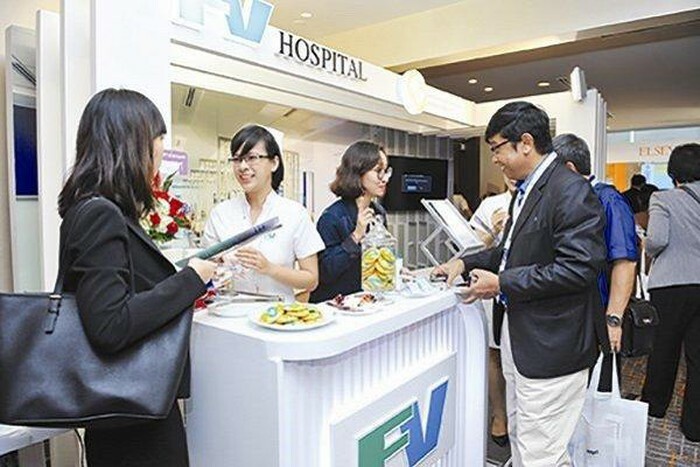 Government officials and experts all say that providing healthcare services to foreigners is within reach of Vietnam’s hospitals, which have qualified physicians and surgeons, modern facilities and advanced technologies. The biggest advantage of Vietnam is that it can provide services at reasonable costs but with high quality. However, no detailed strategy on boosting healthcare service exports has been figured out, and for the time being, billions of dollars are spent every year by Vietnamese patients on healthcare services overseas. No detailed strategy on boosting healthcare service exports has been figured out, and for the time being, billions of dollars are spent every year by Vietnamese patients on healthcare services overseas. Nguyen Thi Le from HCMC said her husband was diagnosed with stomach cancer last year. Physicians told her that Vietnamese hospitals were capable of dealing with the case. However, Le still decided to take her husband to Singapore for treatment. Half a year later, her husband passed away. However, Le is satisfied about her decision, because her husband received treatment in a friendly environment with good services. Le is not alone. Well-off families in Vietnam tend to go abroad, especially to Singapore and Thailand, to receive healthcare services. A report from the Ministry of Health showed that 40,000 Vietnamese went abroad to have healthcare services in 2018, spending $2 billion. According to Nguyen Duy Thuan, Deputy Director of the Institute of Health Economics Research and Hospital Administration in HCMC, Vietnam has gained initial achievements in exporting healthcare services, especially in odonto-stomatology. The number of dental clinics has increased rapidly in the last few years and most of them are operating well. Vietnam has emerged as a place which can provide dental services at reasonable costs and with high quality. In Europe and the US, the cost of dental examination and treatment is very high, and it is often not covered by health insurance. In Vietnam, the cost is very reasonable, while the service is good and doesn’t take much time. “Foreign travelers find it convenient to travel to Vietnam and have dental care service. They don’t have to make an appointment a couple of weeks in advance. They just drop by hospitals and spend 1-2 hours on the service,” he said. However, Thuan said that success in healthcare service export is mostly in basic care and rehabilitation field. Basic care and rehabilitation is a vast market which is suited to Vietnam’s conditions. Hospitals and private healthcare units don’t have to have the latest technologies and equipment and don’t have to spend too much money on initial investments. Thuan cited sources as saying that the market is valued at hundreds of billions of dollars.